Rare wooden block model of a rainbow trout c1910. 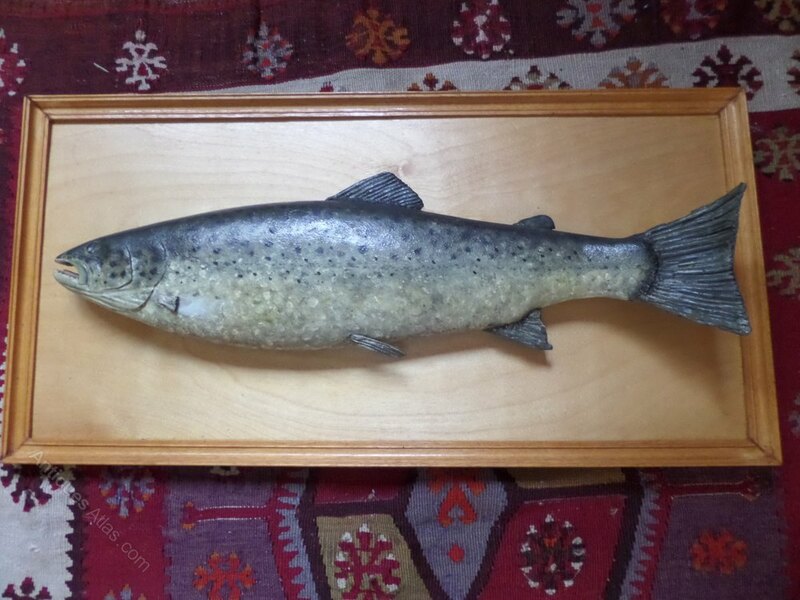 I,ve seen many wooden salmon but never a 25" wooden painted trout. In good condition, gill is missing see pic ,paint is superb. I think the back board is a replacement but could easily be either painted or changed.Bought from an estate in Scotland. Board 27"/69cms wide 14"/36cms deep.